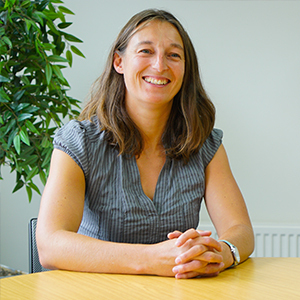 Ally Taft brings both physiotherapy and legal skills to her role with Medical Accident Group – she trained as a physiotherapist first and then embarked on her legal training, knowing that she wanted to specialise in clinical negligence from the outset. Her knowledge of the effects of pain and serious injury have stood her and her clients in good stead, combined with her determination to seek justice for clients who she supports through one of the most difficult times of their lives. Ally has successfully won life-changing settlements for clients, including multi-million pound birth injury settlements. Passionate about her work and getting justice for those whose lives have been devastated by clinical negligence, she also helps to train less experienced solicitors within the Group to help them to expand their knowledge further. Ally is a panel member of the Law Society Clinical Negligence Accreditation Scheme and has achieved Senior Litigator status with the Association of Personal Injury Lawyers (APIL). As her main hobby, Ally plays premiership rugby and has played rugby for England Academy. She also plays other sports such as hockey and netball, and has competed in endurance events such as Tough Guy and Man Versus Horse. She also enjoys singing, photography and skiing. I can’t thank Ally enough for all of her hard work. She has been first class from start to finish and a credit to her profession. I would recommend Ally and the Medical Accident Group without any hesitation. Market commentators are impressed by Ally Taft‘s (Band 2 – Clinical Negligence: Mainly Claimant – Hereford, Worcester and surrounds) “very direct and robust” approach and her “good client care skills.” She has a broad clinical negligence practice, which includes fatality cases. Thanks very much for doing such a great job. Ally, thanks for doing such a great job. Best wishes from myself and my children. Ally Taft is sought after for her experience in birth injury cases, where she is praised for displaying “enormous sensitivity” and a “wonderful way with the client.” She joined the firm from Alsters Kelly in 2014 and since has been promoted to partner. She continues to work on high-profile cases including sexual abuse claims against medical professionals. Thank you for everything you did when you took over my brothers case. I am very grateful. I would like to send you my best regards and appreciation for your help, support and guidance throughout the time you dealt with my case. I am so grateful to you for everything. Is patient safety being jeopardised by the NHS covering up their mistakes?